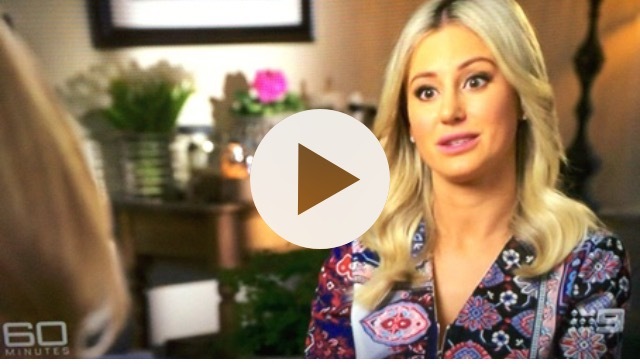 The interview with renowned Sydney PR Roxy Jacenko will screen on Sunday next week on '60 Minutes' Australia. A preview clip - where reporter Allison Langdon interviews Roxy on her life and what's been happening of late (with Roxy's husband Oliver Curtis serving time in prison, and Roxy's recent cancer diagnosis) - screened at the end of tonight's program. The clip is below. Roxy is no stranger to the Nine Network - she appeared on the network's 'Celebrity Apprentice' Australia several years ago, and made her mark at the time by stirring controversy with her forthright approach to business. Read more about Roxy's new battle HERE.